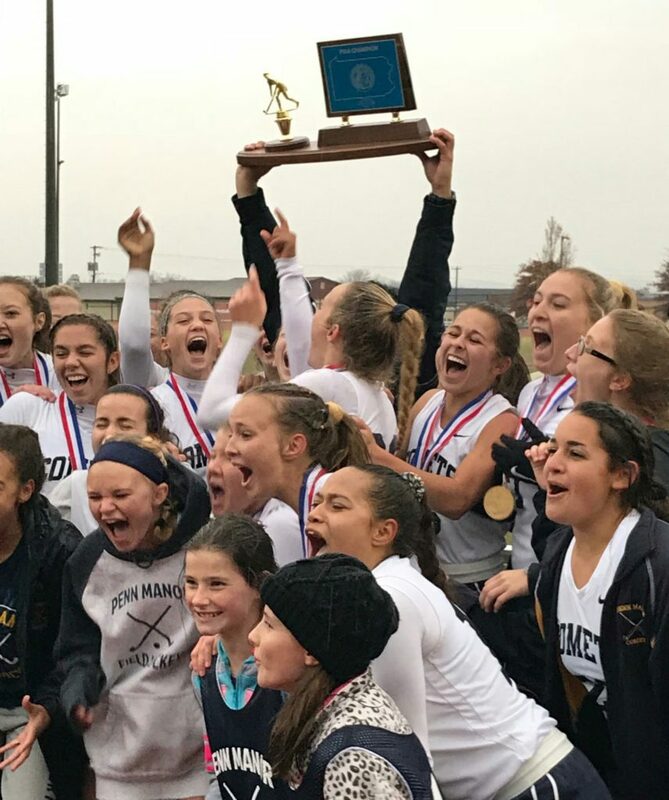 Penn Manor field hockey team wins state title with 2-0 victory! Congratulations to the Penn Manor field hockey team for winning the 2017 PIAA state championship with a strong 2-0 win over Downingtown West! The team ended the year undefeated, with a 28-0 record. It’s the first Penn Manor team in school history to go undefeated while winning league, district and PIAA titles. The Comets also won the state field hockey title in 2014. Congratulations to the players, coaches, their families and fans for such a memorable season. The team will be celebrating at the high school. What a great day to be a Comet!